1. Larry Rivers. Brushed Camel, 1978-1990. Silkscreen and litho with hand painting, ed. 34/50, 22 ½ x 23 ½ in. 2. Richard Diebenkorn. Black and Grey, 1984. 3 color lithograph, ed. 12/42, 30 x 21 7/8 in. 3. Alexander Calder. Serpent in the Stars, 1960. Lithograph, ed. 46/75, 28 ¼ x 42 ¼ in. 4. Larry Rivers. Homage to Picasso, 1974. Screenprint ed. P.P. 3/7, 20 x 29 in. 5. Alex Katz. Jessica, 1994. Color woodcut, ed. 98/200, 13 ½ x 12 ¼ in. 6. Cecily Brown. Untitled, 2004. Lithograph ed. 26/120, 16 ¾ x 13 in. 7. Julian Schnabel. Untitled, 1981. Lithograph, ed. 62/85. 17 ½ x 23 in. 8. Robert Motherwell. America-La France Variations VII, 1984. Lithograph, collage on white Arches Cover, mould-made paper, and hand-made paper, ed. 3 Gift Proofs, 52 ¾ x 36 in. 9. James Rosenquist. Hole in the Center of the Clock, 2007. 8 color lithograph, ed. 52/60, 41 ½ x 27 in. 10. Helen Frankenthaler. Air Frame, 1965. Screenprint, ed. 157/200, 22 x 17 in. 11. James Rosenquist. Chambers, 1980. Lithograph, ed. AP 2/6 from the collection of Robert Rauschenberg, 25 x 47 ½. 12. Robert Indiana. The Golden Five, 1980. Serigraph in colors on five sheets of Fabriano 100% rag paper, ed. P.P. 10/17, 26 ¾ x 26 ¾ in. 13. Robert Motherwell. Nocturne I, 1987. Lithograph and chine appliqué on Arches paper, ed 27/50, 27 x 23 in. 14. Jeff Koons. Balloon Dog Plate, 2002. Fine Porcelain, ed. 2002/2300, 10 ½ x 10 ½ x 5 in. 15. Jeff Koons. Puppy (Vase), 1998. White glazed porcelain, ed. 1817/3000, 17 ½ x 17 ½ x 10 ½ in. 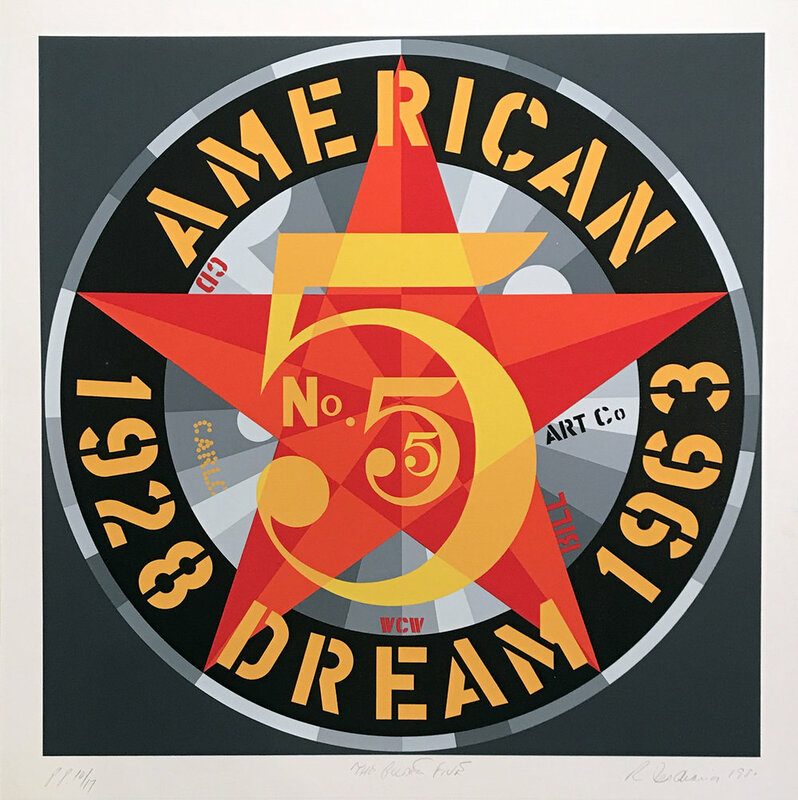 Eckert Fine Art proudly presents American Masters Editions, 1960-2000s, an exhibition surveying the printmaking and edition efforts of artists Cecily Brown, Alexander Calder, Richard Diebenkorn, Helen Frankenthaler, Robert Indiana, Alex Katz, Jeff Koons, Robert Motherwell, Larry Rivers, James Rosenquist, and Julian Schnabel. The opening will be held from 4-7pm on Saturday, May 13th at 12 Old Barn Road, Unit 1, in Kent, Connecticut. The gallery is located in the Kent Barns art district. This opening marks the inaugural exhibition for the Second Saturday at Kent Barns seasonal art walk. 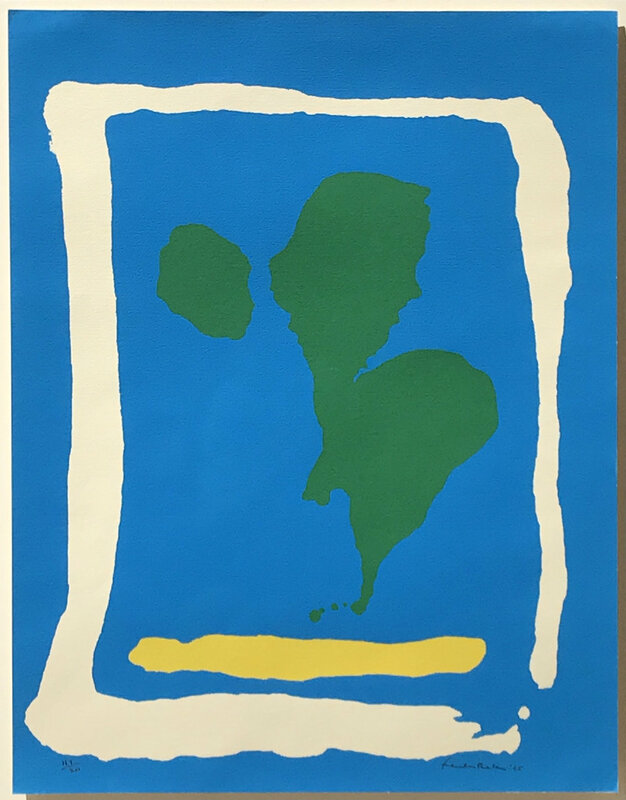 The artists whose works are presented in this show have historically been handled by EFA, and the gallery has drawn upon its numerous relationships with private collections to provide for the works exhibited.